Well-maintained home in a quiet great location! 11 mi to C470 or 6 mi to 285. Home offers 5 bedrooms, 3 on the main floor and 2 in the basement and 2 full bathrooms, 1 on the main floor and one in the basement. Kitchen has granite counter tops. Main floor has hardwood/engineered floors. Basement has a large family room, a master bedroom with sitting area. It also has a spacious laundry room/mud room that walks out to the backyard. Plenty of storage rooms/areas. 2 propane fireplaces - one on the main floor and one in the basement. 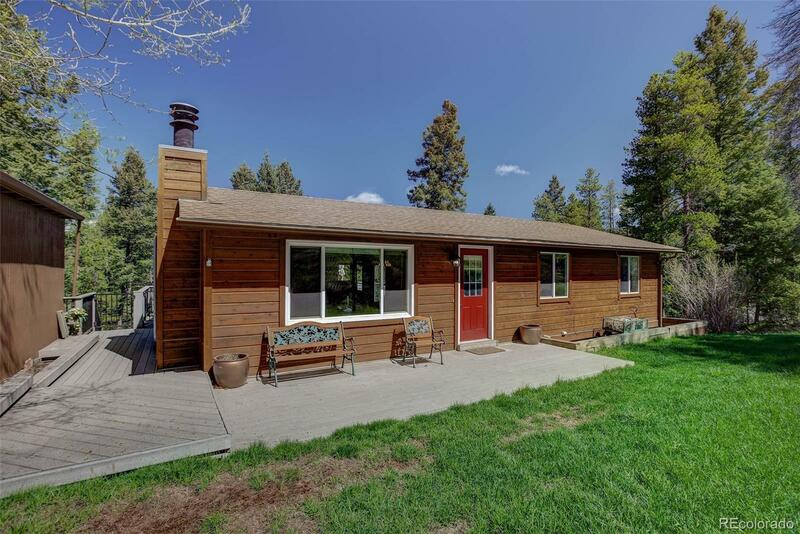 It offers a deck with a view - mountains and open space with lush trees and also a stream at the bottom of the property. Deck is made from sustainable composite decking. Attic is re insulated. Double walls in the basement for extra insulation. Extra insulation in the office. Resealed wood panels around the house. Patio/deck is panoramic, fully extended! Spacious barn/shed/storage/workshop! Plenty of wildlife so have your cameras ready!